This app is not to be confused with the Progressive Folk-Rock band AMAROK’s album of the same name, of course. Ya, I hadn’t heard of them either until I Googled this site’s name. Retrospectiva.org is an open-source project management tool focusing on collaborative uses. It’s aimed mainly at development and agile teams, though it could likely be used by most teams outside of the open source community. It has a host of great built-ins and ad-ons available. The administration and basic task management inclusions are the core of the app, focused on document progression (collaborative editing and tracking). Milestones and goal/task management are the rest of the base for Restrospectiva with simple tools for team tracking and task assignments and goal-setting. Other built-ins such as code review and comparison are made especially for developers with support for some extras like Subversion and Git. For developers on live projects, trouble ticket and service requests can also be included as tasks and managed for work flow and resolution. Ad-ons for extra uses include blogging, a wiki for open-source documents or other similar tasks, and AgilePM for code tracking and management. 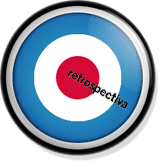 The Retrospectiva tool is very useful for specific groups who’re in need of management and tracking for projects centered on most development platforms, especially open-source and agile software development teams. It’s robust and licensed under MIT (fully open, but all subsequent versions must also be so) open source. Definitely a cool tool for the collaborative team.